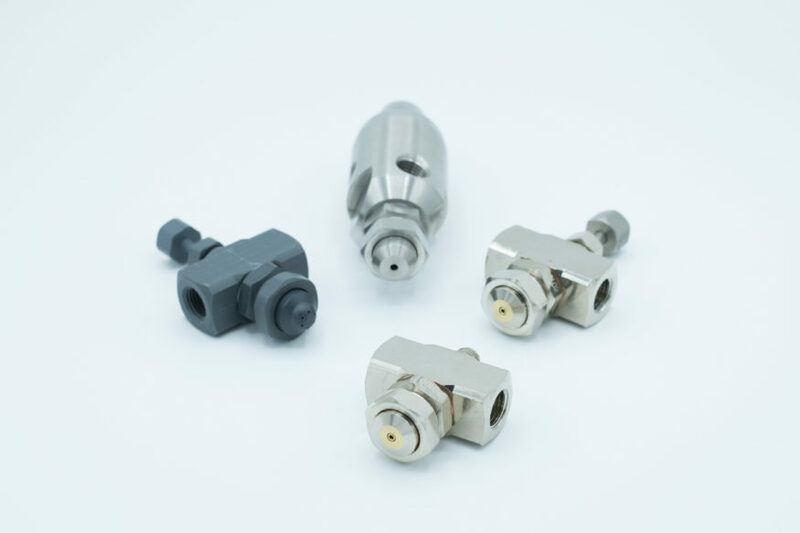 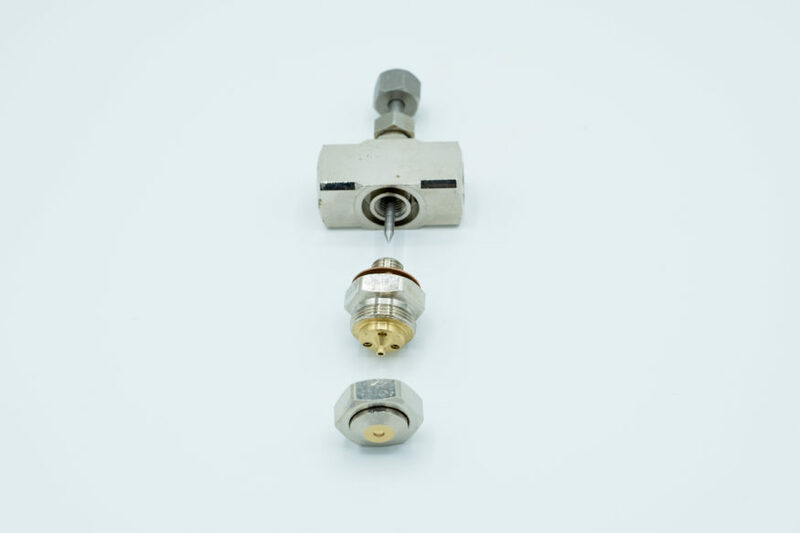 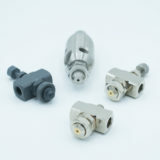 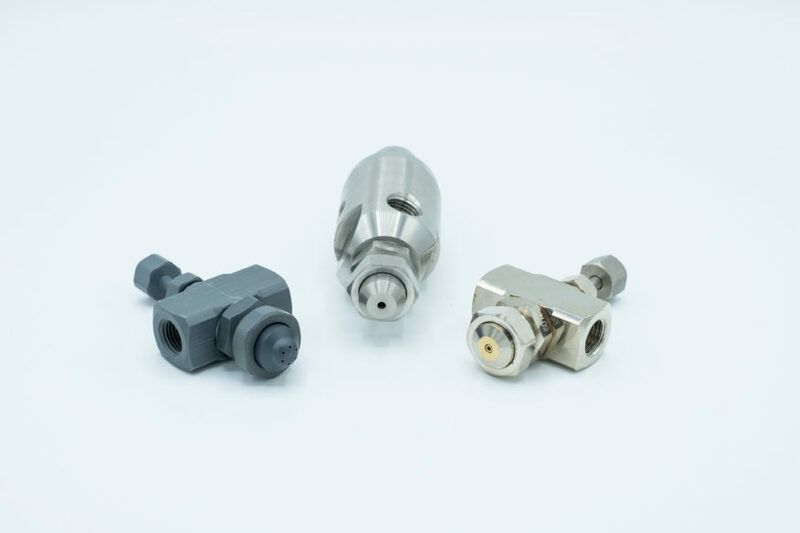 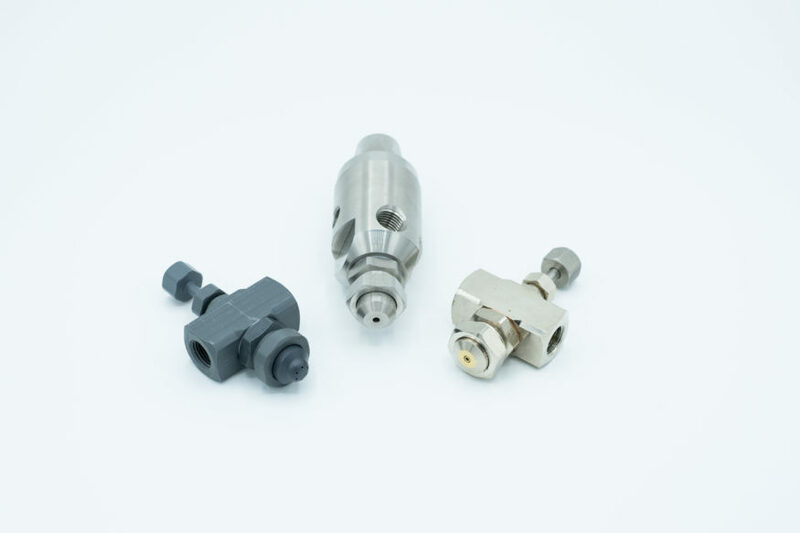 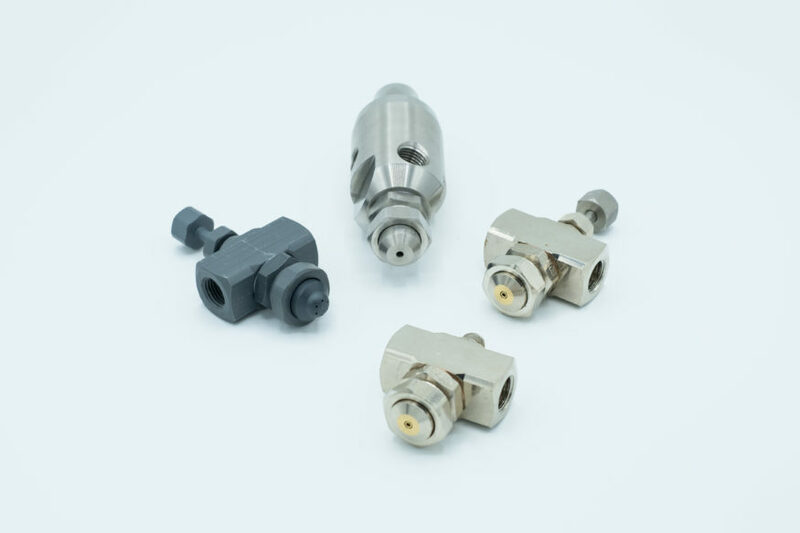 These nozzles are used to mix compressed air and liquid, producing a particular spraying shape with specific flow and coverage features, which varies depending on the spray assembly used. 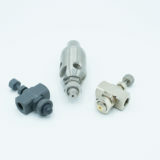 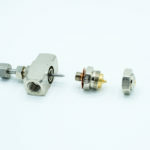 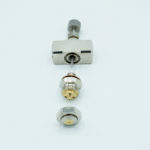 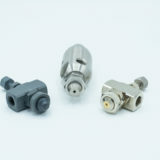 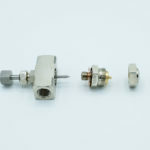 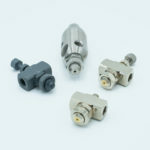 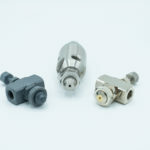 The spray assembly consists of a liquid nozzle and an air nozzle. 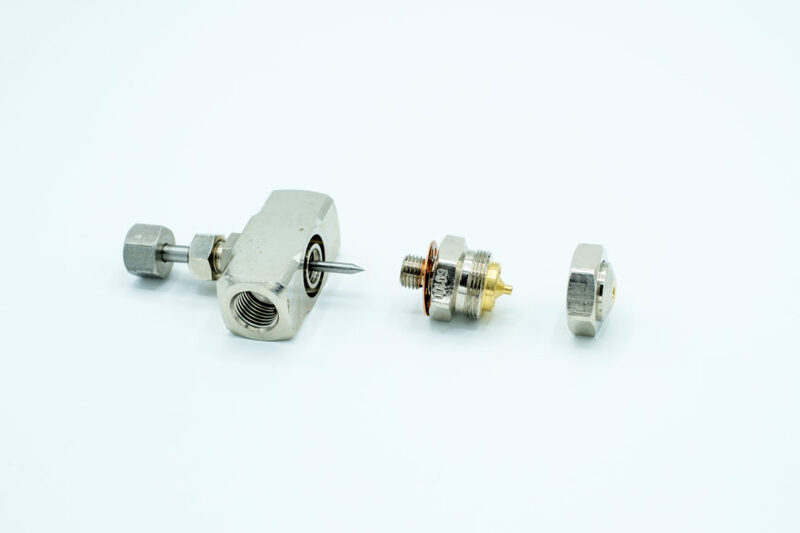 Cooling – Environment humidification – Spraying of high viscosity liquids – Lubrication – Dust suppression – Odour control – etc. 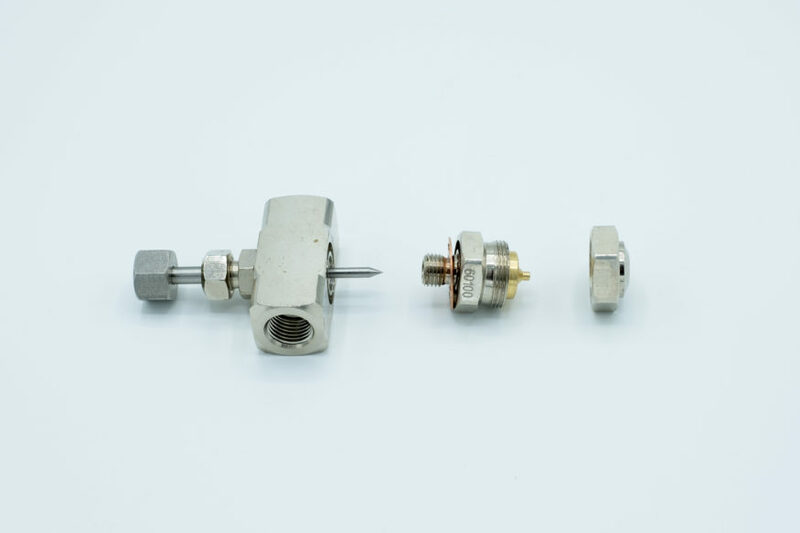 Nozzles can be provided with filter, adjustment and closing needle, cleaning needle, opposed spray group, and thick and thin-wall attachment.